This is a sponsored Post BY WebsNaira Enterprise Web design and Facebook adverts agent in Nigeria. Facebook Adverts Agent in Nigeria: What’s our Work and how do we deliver your Ads? Ever since we have put up our WebsNaira Adverts Agent page lot’s of questions have been hitting our inbox like ” How does our service work” How can we deliver, What’s the real cost and all that. so we’ve decided to create another post to explain how Facebook adverts agent Works and how we can help you achieve your goals in promoting your business on Facebook here in Nigeria. Before we even think of making this service official, we’ve have been helping clients in running successful Facebook adverts to meet their targeted audience while they pay for our services. But the demand for our Ads service is becomeing much everyday so we needed to explore more advertising teams and make it official and thats why we’ve created this page for it perhaps to reach more Nigerians who need to promote their business on Facebook with the aid of Facebook adverts agents. Everyday we keep getting complains on forums on and social medias how many Nigerians have been unable to advertise their businesses on Facebook even when they have good budgets, the Payment system becomes the issue. Unlike those days when can just add our Naira Credit or Debit cards to your Facebook Ads manager and boom!!! it will work without issues. Now Facebook seem to be very different making the Payment method very difficult for Nigerians specifically. Even when you still try create Virtual credit Cards online Facebook will end up suspending your Ads account. And you know the worst story? If your Ads is suspended you cannot create another Ads using the same IP they will keep suspending all of them. Because of the inability to pay for Facebook adverts, many has no other option than to think something different instead of Facebook ads even when they know the well that’s the best way to follow. We have been able to conquer this Payment system by creating an official USD bank account. You can also get your dollar account from any Nigeria bank but that won’t be very easy as it takes many processes, requirements and not less than $100 before you can setup a dollar account from any Nigeria bank. Even with all these issues, We still get you covered. 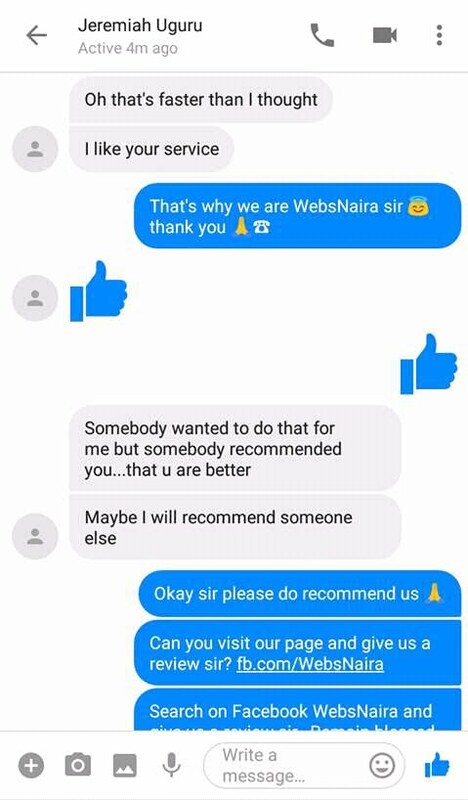 This is how we render our services in helping our clients promote their business on Facebook in Nigeria. We have our official Facebook Adverts account made ready for use. If you want to advertise your business we can help you place your Adverts on Facebook while you pay for your Ads and settle us for the service rendered and that’s all. If you’re want to advertise your business you will first of all create your Facebook Page, Then update your page with what you want to advertise after that you can now contact us. How much did you want to spend in promoting your products or Facebook fan page? Which Location would you want us to Target? After providing us with the necessary details to get your Ads running, You will then Pay the sum of ₦2000 to our account. That’s what we charge for our Facebook Adverts services. Immediately your payment is confirmed you will make us Admin on the page you want to advertise. Then we will Run your campaign for you and you will also see it yourself. Having Placed your campaign based on the amount you want to spend, after 24hrs of running your Campaign you will have to Pay of your Adverts fee to our account and that’s the money we will use to continue your Adverts. As soon as your Budget is exhausted that means the deal has been sealed.. with this we have helped in promoting your business on Facebook with your budget. READ THIS: The ₦2000 is paid when you’re a first time customer but if after using our service for the first time you you decided to come back for more, you will no longer pay the original fee instead you will pay ₦1500 for our services. Hope you can now see how our services work?. Are you interested in hiring our services to Get more likes to your Facebook page, send traffic to your website, Promote your business, Sell your products and services,Send traffic to your landing pages etc …. just contact us and let’s get the work done for you with the quote stated above. When it comes to fast delivery we don’t joke with it because we love making our clients happy.